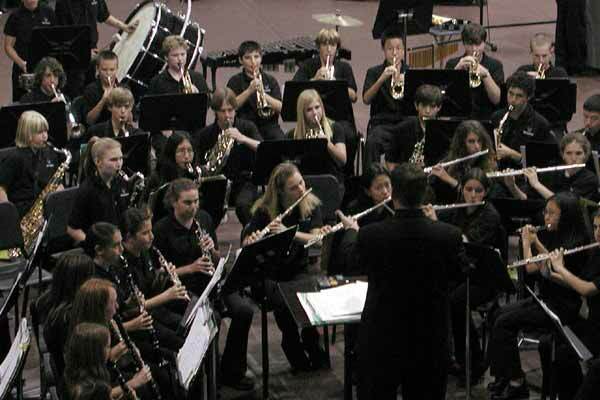 Band concerts at Mesa Verde are large affairs, with the four bands (two eighth, two seventh). And everyone of these students is likely to have two parents and maybe a sibling and/or grandparent crammed into the overflowing gym bleachers. 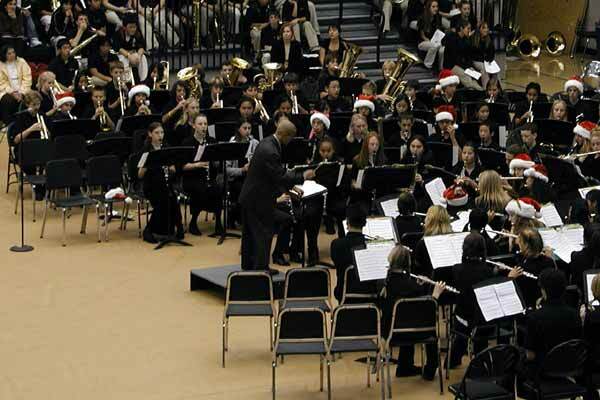 Mr. Posterero conducting the the eighth grade wind ensemble, which he has dressed all in black this year. Brad is in the center of the back row. 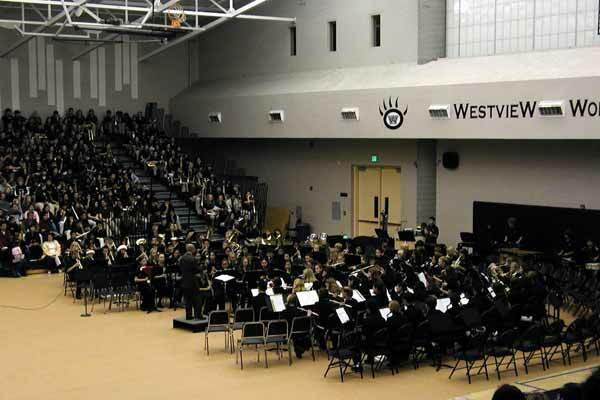 A few days later just the combined eighth grade bands had a joint concert with the high school band in the high school's gymnasium, where many of Brad's basketball practices are held. Mr. Kirby is conducting this evening in Mr. Posterero's stead. Matt and Brad are three rows back, over Mr. Kirby's left shoulder. 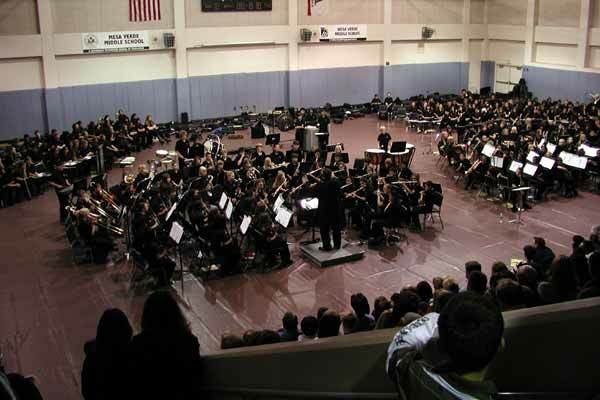 Like Middle School and High School, band concerts are held in the largest room on campus, in this case the multi-purpose room. 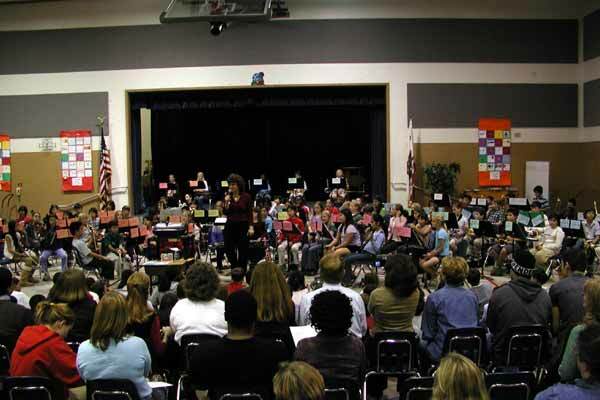 In addition to parents who can make it to concerts held during the school day, students (especially 4th graders) are imported to enjoy the show. Hurray for the trombones! 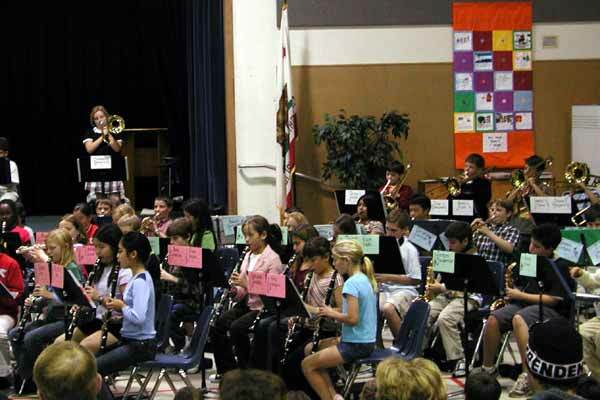 Besides the one exemplar on stage, the trombones are back row right. There's Doug second trombone fromthe left, standing under the orange banner.